2019 Martinganza Now Underway in Williamston, NC. 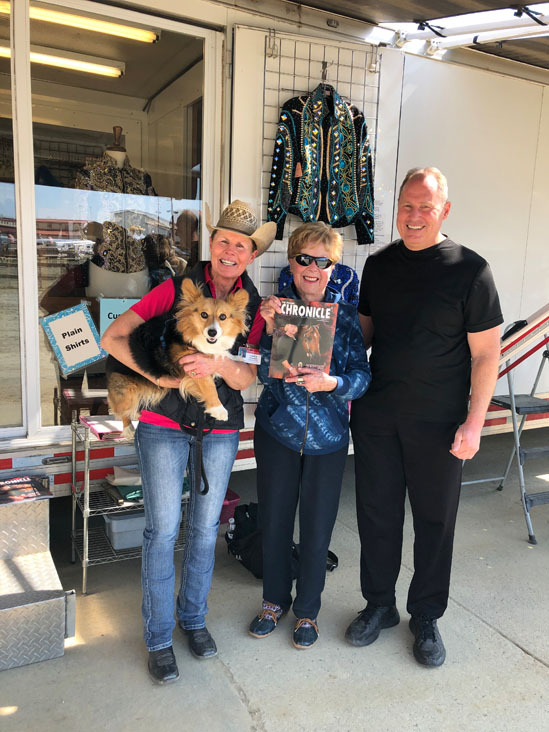 The 2019 Martinganza Quarter Horse Show and Futurity kicked off yesterday at the beautiful, Senator Bob Martin Eastern Agricultural Center in Williamston, NC. providing AQHA exhibitors with down home hospitality for the next three days. Judges for the show are Karen Graham, Jennifer Leckey, Marilyn Randall, Jeff Allen, Buddy Fisher, and Mike Hawkins. The show began Thursday with Speed, Reining, Ranch Riding, Working Hunter, Hunter Under Saddle, Equitation, and Western Pleasure. 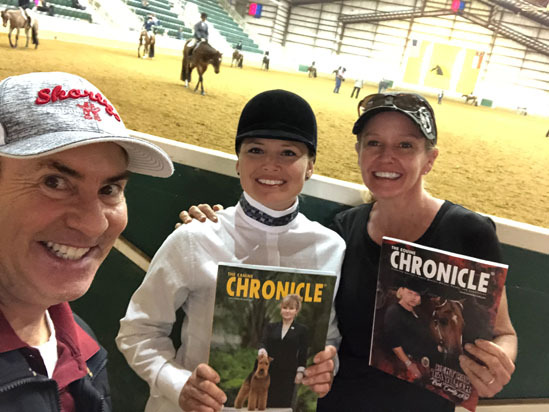 Today, after Halter, Trail, Western Pleasure, Horsemanship, Ranch Riding, and Reining classes have concluded, there will be The Equine Chronicle Exhibitors Party with mechanical bull and DJ! Come see if Gordon plans to ride… A complimentary dinner will be served in the main arena following the last class of the day. be sure to pick up your dinner tickets today. In addition to the Exhibitors Party, there are a few special events taking place at the show this year. The North Carolina Amateur Quarter Horse Association is hosting a Used Show Clothing Sale as a fundraiser for the club. Exhibitors can participate by donating or consigning used show clothing, apparel, or horse related items. Thanks to an anonymous sponsor, all-around exhibitors will have the opportunity to win part of their show bill back! There will be a $250 drawing awarded to a youth 18 and under with the most classes entered at the show and an amateur 19 and over exhibitor with the most classes entered. Did you know that Martinganza isn’t just a fun horse show? 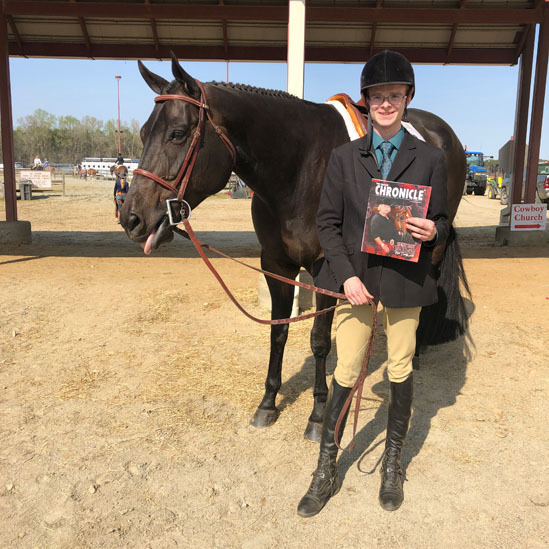 The event helps to provide partial funding for the Equine Technology Program at Martin Community College in Williamston, NC. This is the only public, two-year equine studies program in North Carolina. Coming up next for the club will be the Little River Circuit, May 17-19, at the Lake Waccamaw Exhibition Center. Judges will be Sandy Curl, Don McDuffee, Cynthia Rucker, and Theodore Grose. Also, the Novice “No Bling” show will return to Lake Waccamaw on July 20th. The AQHA show judge will be Jeramie West and the District IV Summer show judge will be Clint Ainsworth. Click here to view G-Man’s fun photos from the show. Stay tuned to EquineChronicle.com for more photos and results coming from the show.